100% of a broker’s profits are generated by just 10-15% of the traders, who are 1-2% of the leads. Artudata is a UK-based technology company specialising in artificial intelligence for small and medium retail financial services companies. It is a member of the startup programs of both Google UK and Amazon UK, which have invested in Artudata financially as well as through collaboration with their AI engineers. In this exclusive interview, Rinat Buchholz, Artudata’s commercial director EMEA, spoke to Finance Magnates about the company and its offerings. 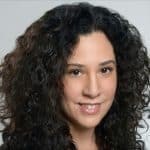 Buchholz is an experienced figure from the online trading industry, serving in roles such as CEO of ReferPartners and Zone Options as well as VP International Sales at AvaTrade. What is the main idea behind the new company? “Today 90% of companies using Artificial Intelligence (AI) are larger enterprises with a massive client base and huge budget, whilst small companies struggle to compete as they simply don’t have enough clients and are forced out of the AI club (Less than the 1 million users which is needed for AI to function effectively). After analysing data from over fifteen brokers we uncovered a secret: 100% of a broker’s profits are generated by only 10-15% of the traders, who are 1-2% of the leads. As only 2% of the leads will generate revenues which is greater than their cost of acquisition. 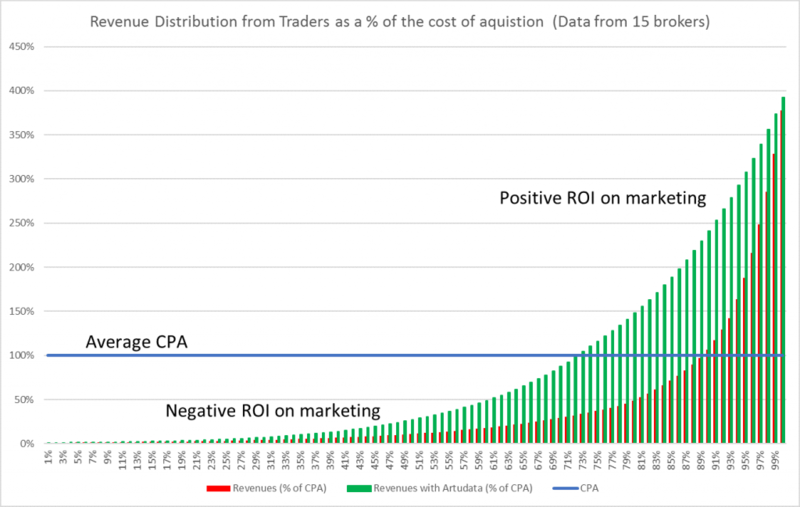 So, for a profitable broker, 2% of the leads generate enough revenues to cover their own acquisition costs plus the cost of the other traders, the cost of 90% of the leads which haven’t converted, the cost of employees: Marketing, Sales, IT, regulations, legal, and the cost of technology and capital requirements. Not an easy mission. Why should brokers look to AI? “We are changing the equation by empowering companies to regain their competitive advantage using AI to accelerate marketing optimization, amplify sales productivity to boost conversion rates and client life-time value. So far, we have several established global offices namely: London (servicing the UK and USA), Melbourne (servicing the APAC region) and Tel-Aviv (servicing Europe and the Middle East) and we are growing quickly! To bring the quality to our clients we have developed three products: Marketing channels optimization; Smart Re-marketing; and Sales Conversion Booster and Life Time Value predictor. What can you tell us about their performance? Marketing channels optimization focuses on marketing channels with strong ROI by predicting the value of each channel. Therefore, reducing CPA, saves budgets and increases a user’s engagement and CTR. Our Clients are seeing a ~10% cheaper CPAs and 5-12% better CTRs. As generally, +95% of traffic bounces while most users will interact with company’s brand 7 times before purchasing, a brilliant re-marketing is a game changer. The Smart Re-marketing service focuses on re-targeting only the relevant users by predicting click quality to reduce CPA and increase lead generation. Our clients are experiencing 15% cheaper CPA and 18% increase in new traders, along with up to 50% saving on re-marketing budget as we only target the quality audience. For most financial service companies, less than 10% of leads convert. With Sales Conversion Booster we focus on and prioritize the high-quality leads by predicting the probability of each lead to convert. It’s about generating more clients, boosting their value and increasing conversion rates. Our clients are experiencing 12-16% increase in conversion rate (depending on Geos). As the name implies, with Life Time Value predictor the AI predicts life time value, optimises monetization opportunities to effectively offer the client the best and most relevant cross-sell. So far our clients experience more than 10% increase in client value (but it takes time to see the actual impact, so numbers may increase). We love our clients, as they like us, understand that AI is the future, and wish to be part of the journey and explore together new territories. We create new products together and have a lot of fun on the way to make their businesses ready for the next revolution – the Knowledge Era.